The Croxton Bandroom (previously The Croxton Park Hotel) has a storied past, not just around the fact that it has been part of Melbourne's inner suburb of Thornbury since the mid 19th century. In the 1970s, it was much more than your average local; it was the go-to venue outside of the bustling CBD for Rock n Roll. The Croxton can lay claim to providing a stage for undisputed Aussie rock royalty. AC/DC, The Angels, Rose Tattoo, Cold Chisel and Sherbert all played gigs when the venue was in its heyday. After its glory days in the 70s, The Croxton (or the Croc as it was known at the time) fell out of favour with its fans and became more of a local dive bar than the epicentre of live music for Melbourne's inner north. 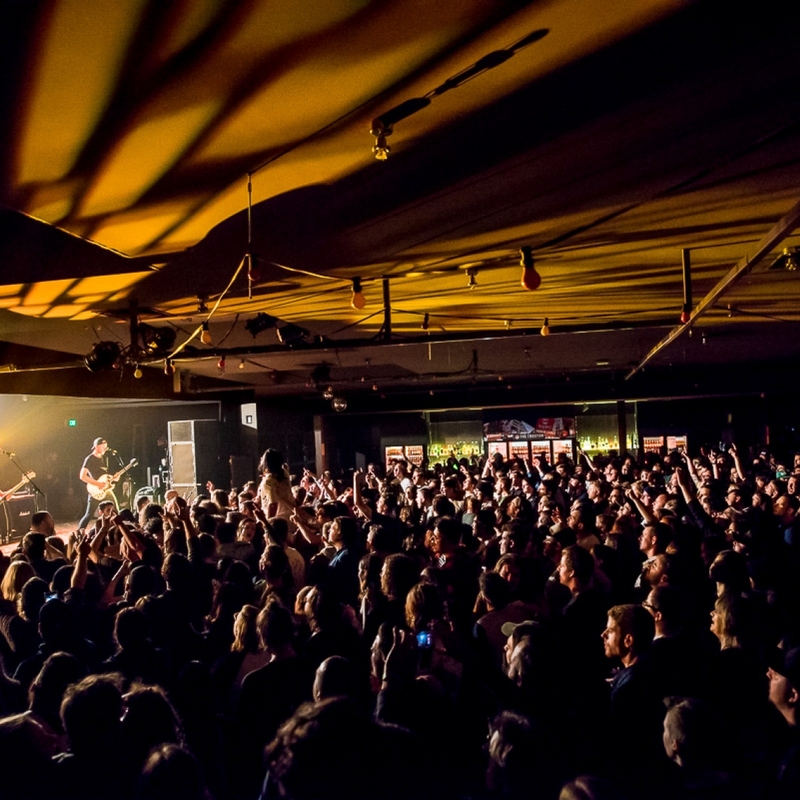 But after some much needed and extensive renovations, The Croxton Bandroom declared itself resurrected and committed itself to matching the reputation it once had of attracting exciting and new music acts. After the renovation, The Croxton was split into two distinct sections, The Croxton Bandroom and The Croxton Front Bar. The Croxton Front Bar is the smaller of the two, has a 150 person capacity and is available for hire. The Front Bar has its own gig program that can run separate and apart from the main Bandroom. The Croxton Bandroom has an impressive 14-meter wide stage and the capacity to hold up to 900 persons. The Coxton has a full bar menu which includes $7 pints. If you wanted a meal outside of the venue, several dining options, ranging from pizza to vegetarian, are located a stone's throw from the door. The Croxton Bandroom has done the yeomen's work of rebuilding its reputation and finding its place in Thornbury which is fast becoming a trendy neighbourhood. There are not many suburbs that can boast of having the first food truck park in Melbourn (which incidentally is a six-minute taxi ride from The Croxton Bandroom). The Croxton Bandroom is on 86 tram line. Stop 36 on Darebin Road or the Woolton Ave / High Street stop will place you 5 minutes away on foot from The Croxton Bandroom. If travelling by train, get off at the Croxton Train Station on the South Morang line. The venue is just a 4-minute walk away.